Attributes of the Power Splitters. Lengths of the inner Tubes (d) for the Bands 2m, 70cm and 23cm. 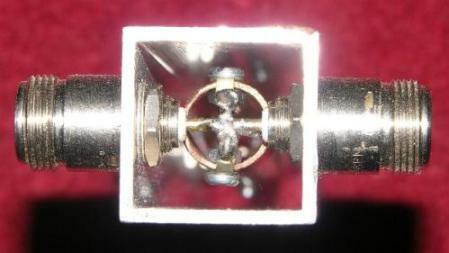 λ/4 Splitter, 2-way, Type 1a, needed Z=35,4Ω RFHamdesign Copper. 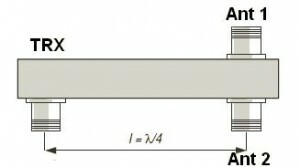 λ/4 Splitter, 2-way, Type 1a, needed Z=35,4Ω. 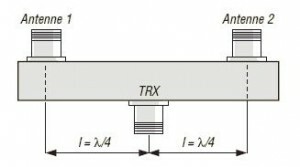 Table 2: λ/4 Splitter, 4-way, Type 1b, needed Z=25,0Ω. Table 3: λ/2-Splitter, 2-way, Type 2a, needed Z=70,7Ω. Table 4: λ/2-Splitter, 2-way, Type 2b, needed Z=50Ω. Table 4: λ/4-Splitter, 3-way, Type 1c, needed Z=28,3Ω. Detailed picture of the inside.